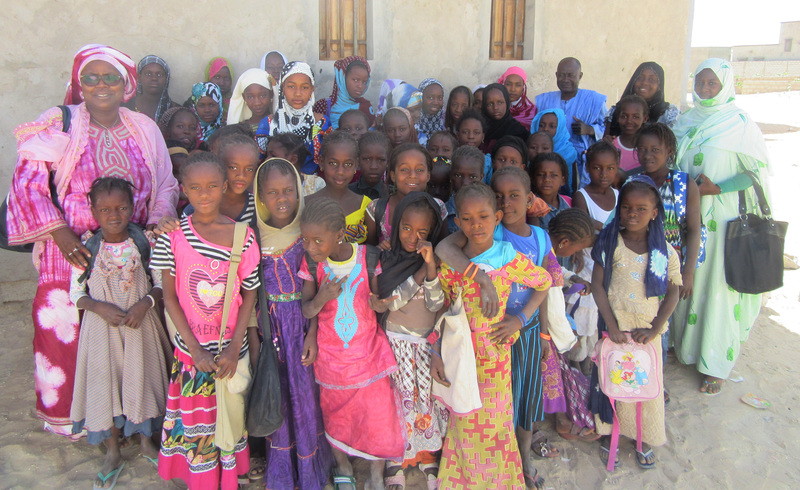 We’re excited to share with you the impact you had and what we were able to accomplish together over the past year in Mauritania, West Africa! Educated 106 girls across nine schools (four public schools and five private). These high-quality schools are all within walking distances for the girls. Empowered 30 “Big Sisters” to support younger girls in school. The Big Sister program helps supplement conditions at home where parents with no education are unable to help their daughters out with their studies. The Big Sisters also serve as mentors around personal issues, school, and home life. Provided a safe place for girls to meet and gain strength from each other! At the Community Center we helped build three years ago, the girls continue to go and get help with their homework, have the opportunity to relax, and have fun. The Center hosts weekly volunteers that provides tutoring and support to the girls. This upcoming year we will begin to support maintenance and security expenses. Facilitated five neighborhood microfinance groups with 150 members. The members are primarily mothers of the girls in school. The group members take out small loans to enhance their economic activities, ranging from cooking and selling couscous, washing clothes, dying clothing, and selling grain and food at local markets. This year, the groups decided to set up larger loans for each member to buy land, and then a future loan opportunity would be to build a house. This is especially important as many of the girls’ households are rented, tiny and holding huge families, and are in very poor condition. Invest in girls’ education – Join Us! You have the chance to change the lives and futures of more than 250 girls and women this year. The next school year begins in October. Will you help us send girls to school this year? Aminata: It’s So Important, I’m Going to School No Matter What! Aminata had an early marriage and her husband made her leave school by taking her away to a village for two years. But she fled and went back to hide at her teacher’s house for one month. She only agreed to leave the teacher’s house with the condition that she could go back to her parent’s house and remain at school. Today, Aminata has returned to school and advocating to girls and parents never to make early marriages. Halima is from a very poor family. Her father does not work and her mother sells juice. They live in a house with two rooms, with no water, with 10 brothers. She is the only girl in her family. This year, Halima was ill and absent from school for one month. But she still became first in her class by waking up 6 a.m. to wash the dishes and swept the house before 7 a.m. so she could work on her school lessons. Mariem is a very determined 10-year-old girl in her studies because her dream is to become a lawyer. She goes from class to class, speaking for 10 minutes on the role of women’s rights and their protections. She speaks like a 20-year-old woman! She impresses the whole school and in her neighborhood they already call her the lawyer. She is the second in her class this year.